A fantastic opportunity awaits - 40 pristine acres of pure Colorado. Build your mountain home minutes from the Metro. 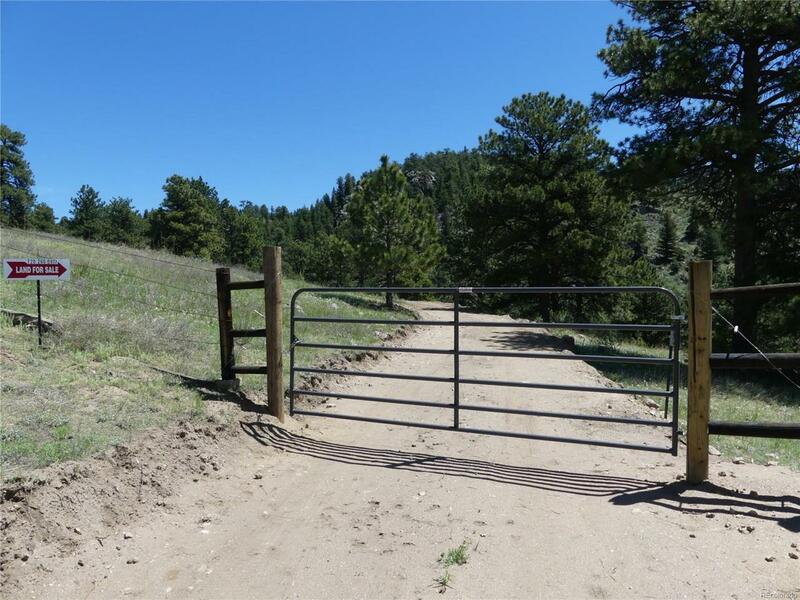 6 miles up Golden Gate Canyon, this property has an excellent south facing (warm) building site & unimpeded views of the front range. Easy all weather access. The lot is private & special - Excellent building sites & there is a water well already in place and underground electric nearby. Rappel from your own cliffs & rock formations that tower above or just sit and take in the view of the snowy 14ers to the west. Caves, springs, & old growth forest. Incredible views. Abundant wildlife: deer, elk, turkeys, mountain lion, fox, raptors & more. It's your own little hiking paradise. This is not a boring flat piece of land! 12 minutes to Golden, 25 minutes to Boulder & 35 minutes to downtown Denver. Coveted A2 zoning and maintained with agricultural use (grazing). Good Rise Broadband internet from this location. Dont let this wonderful piece of Colorado get away!